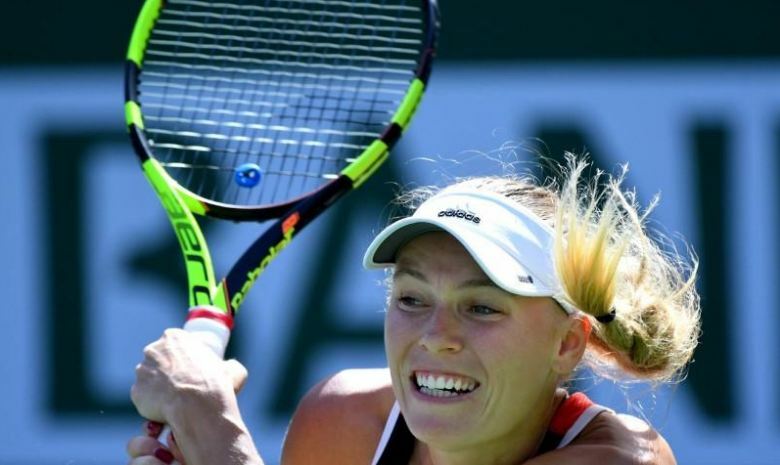 Caroline Wozniacki blew any chance she had to overtake Simona Halep as world number one after losing 6-4 7-5 to Darya Kasatkina in the fourth round of the BNP Paribas Open at Indian Wells on Tuesday. While Halep overcame a sluggish start to beat Wang Qiang 7-5 6-1, Australian Open champion Wozniacki fell to the same player who knocked her out of last month’s St. Petersburg Ladies Open. “I’m just going on court and actually now enjoying every minute during I’m playing,” 20th seed Kasatkina told reporters. Facing Kasatkina in the quarters will be No. 10 seed Angelique Kerber, who easily defeated Caroline Garcia 6-1 6-1. Earlier on Tuesday, Halep booked a quarter-final place against Petra Martic after getting the better of China’s Wang. The turning point came after a string of unforced errors left Halep trailing 5-4 in the first set, prompting coach Darren Cahill to tell the defensive specialist to work longer points and reduce the error count. Halep went on to lose only one more game. The 26-year-old Romanian showed no sign of the foot injury that forced her to withdraw from the Qatar Total Open in Doha last month and is well positioned to make a run at reclaiming the Indian Wells title she won in 2015. First she will have to get past unseeded Croatian Martic, who advanced to the last eight with a 6-3 7-6(4) win against Marketa Vondrousova. “She is a very tough opponent because she is serving pretty strong and also the forehand has a lot of top spins… So I will have to work hard,” Halep told the Tennis Channel. A day after beating her sister Serena, Venus Williams moved past Anastasija Sevastova 7-6(6) 6-4 and will next face Carla Suarez Navarro, who defeated Danielle Collins 6-2 6-4. Former world number one Karolina Pliskova used her powerful serve to overwhelm 16-year-old Amanda Anisimova and reach the quarter-finals for the third year in a row. Pliskova’s 6-1 7-6(2) win ended the run of the young American, a wild card who beat ninth seed Petra Kvitova in the third round for the biggest win of her fledgeling career. Pliskova will face 20-year-old Naomi Osaka of Japan, who defeated Maria Sakkari 6-1 5-7 6-1 to reach her first Indian Wells quarter-final.